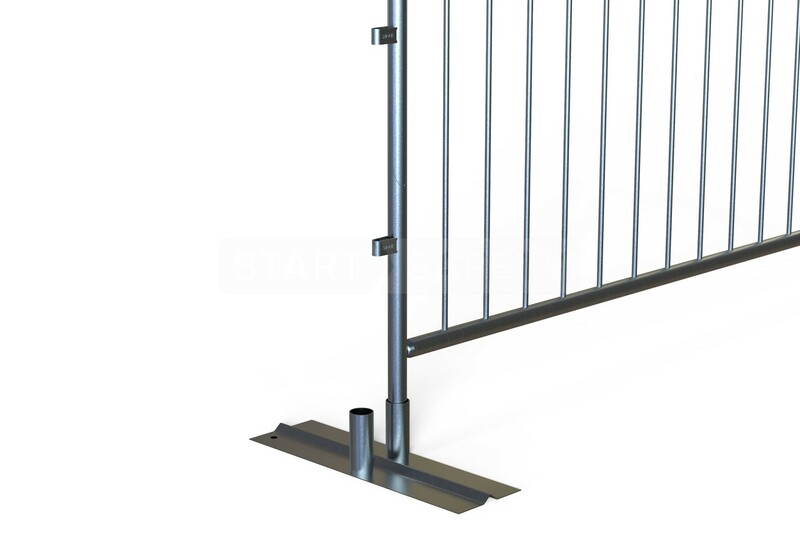 These affordable metal crowd control barriers are easy on the foot and on the wallet! 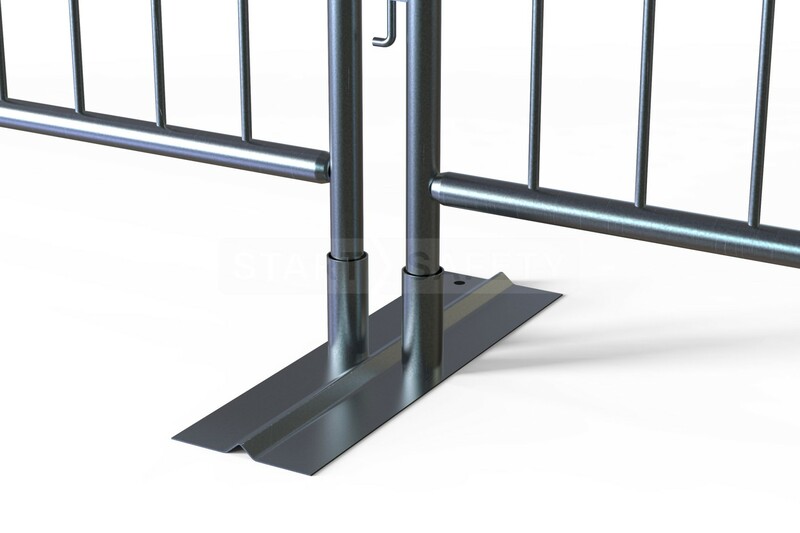 Our crowd control barricades simply slot together making erection and dismantling quick and easy. 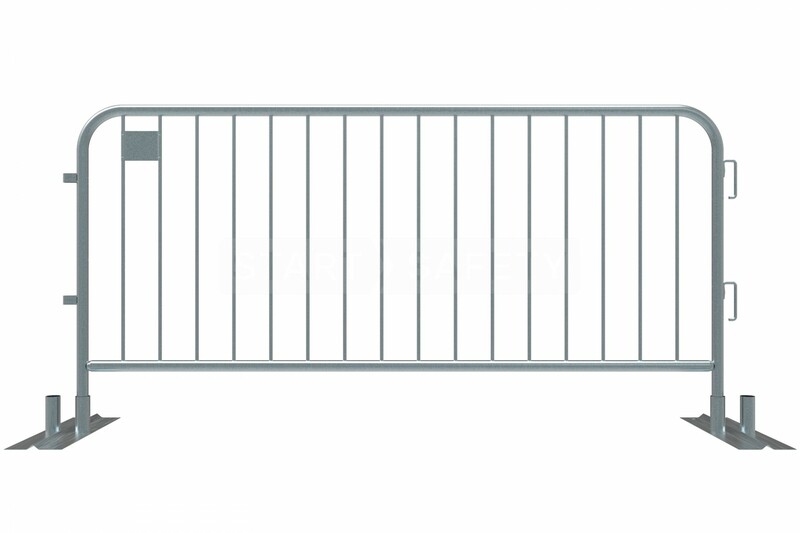 The main barricade frame is made from one continually rolled tube, ensuring a durable and crack resistant end product is achieved. The feet have been designed to reduce possible trips with it's flat design. 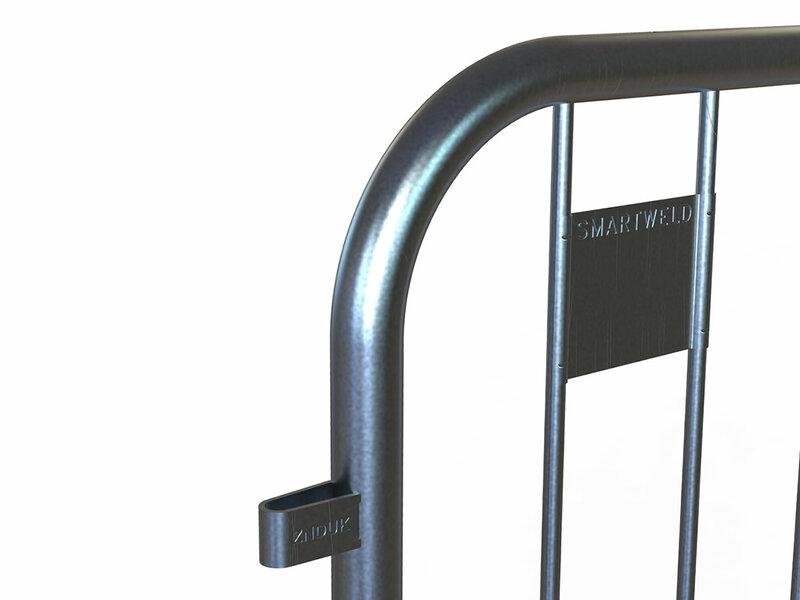 The pre-galvanized construction of these bike rack barricade ensures that they will not rust and will stay in a presentable condition for many years to come. Need to talk to somebody about bulk quantities? Why not speak to our sales team on (800) 671-9662 and let us provide a quote! No need for heavy lifting equipment. One person can move 2 barricades with ease. 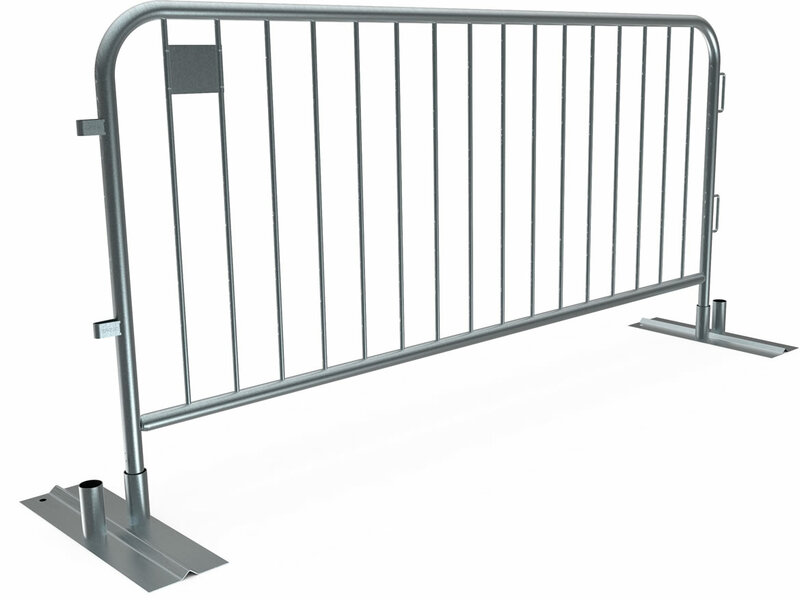 Our metal barricades have been pre-galvanized and machine welded for accuracy and consistency in quality consistency. Storage can be an issue for some, that's why our feet can be detached to save even more space during times of storage. 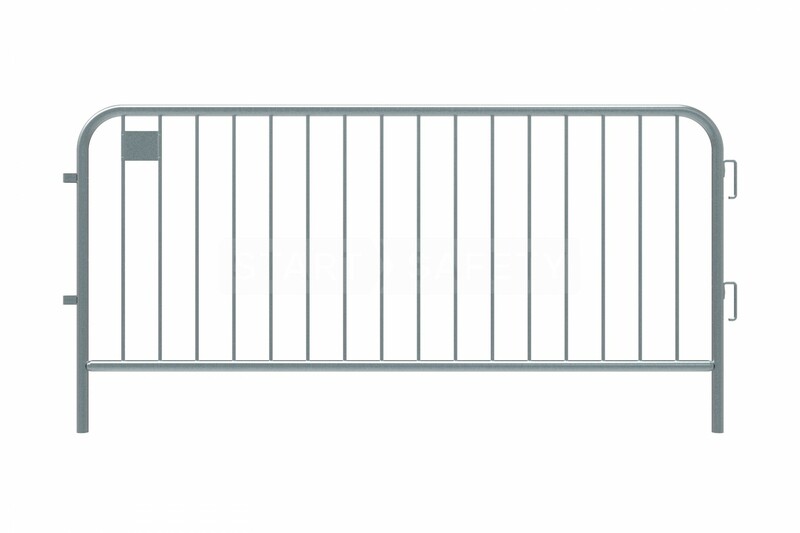 Depending on the application, ballast can be used over the feet for extra stabilization. 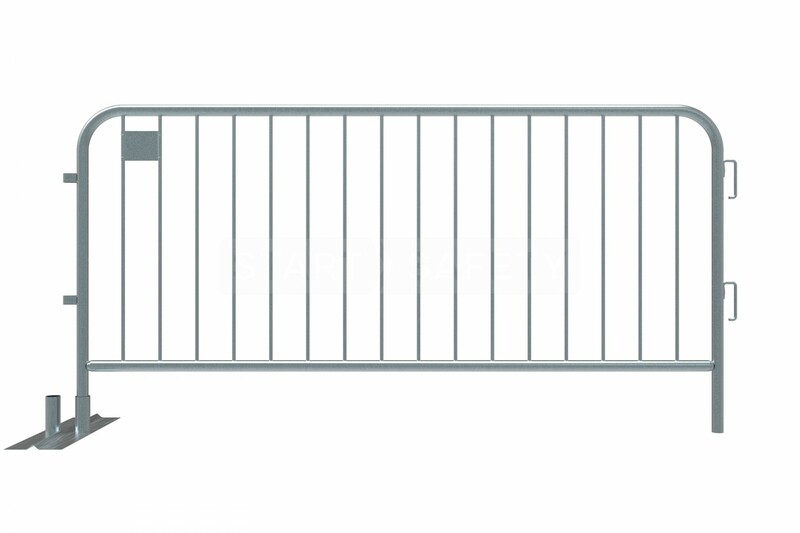 Using modern automated machine welding, the vertical bars are brazed to the tubular frame giving a strong seamless connection. 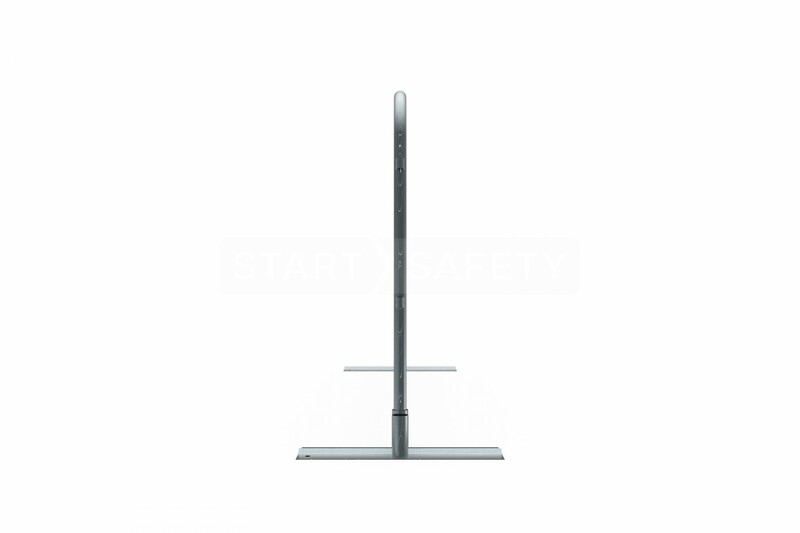 The detachable foot is accepts two barrier legs saving space and cost. For each additional barrier used only requires one additional foot. 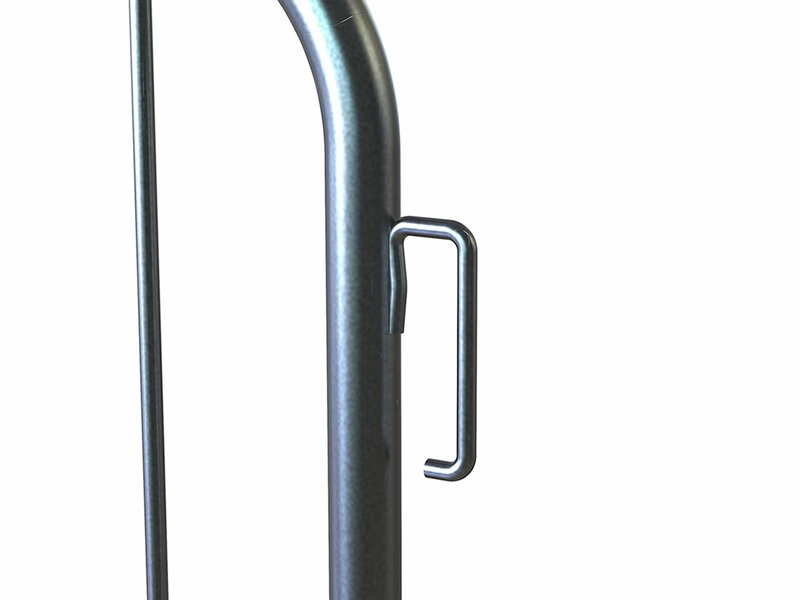 The metal barricade connectors use solid half inch steel bar machine welded into place. This ensures a strong and long lasting hook for years to come. Tube Diameter NPS 1.5" 1.5" 1.25"
Weight 23.5 lbs. 20.5 lbs. * 51 lbs. or 56 lbs. 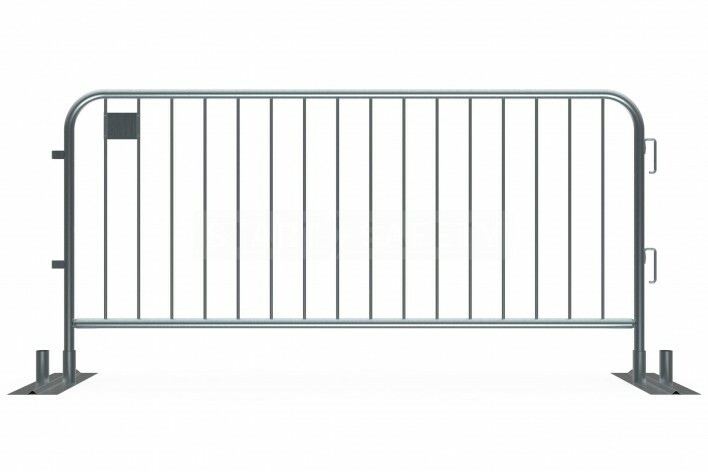 Why Buy Metal Barricades From Start Traffic? We will ensure you get the right deal at the right price, saving you time and money. If you have any questions regarding the range, call our expert sales team on (800) 671-9662. They will ensure you get the right barrier for your needs, at the right price. Need something a little different? 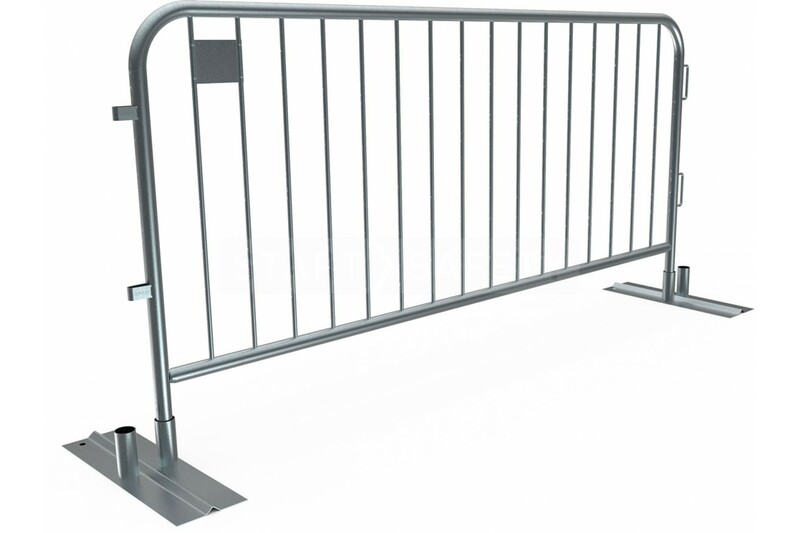 We can always customize your barriers and accommodate your needs. Depth (Legs Not Included) 1.5"